The Arsonist takes readers inside the hunt for a fire-lighter. After Black Saturday, a February 2009 day marked by 47 degree heat and firestorms, arson squad detectives arrived at a plantation on the edge of a 26,000-hectare burn site. Eleven people had just been killed and hundreds made homeless. Here, in the Latrobe Valley, where Victoria’s electricity is generated, and the rates of unemployment, crime and domestic abuse are the highest in the state, more than thirty people were known to police as firebugs. But the detectives soon found themselves on the trail of a man they didn’t know. The Arsonist tells a remarkable detective story, as the police close in on someone they believe to be a cunning offender; and a puzzling psychological story, as defence lawyers seek to understand the motives of a man who, they claimed, was a naïf that had accidentally dropped a cigarette. In February 2009, the state of Victoria experienced extreme weather events that provided the perfect conditions for the bushfire catastrophe that has come to be known as Black Saturday. One hundred and seventy three people died; hundreds more were injured; countless individuals bear psychological wounds. The scale and enormity of the devastation to the natural world is hard to comprehend. More difficult to understand still is that some of the fires were deliberately lit. In 2012, Brendan Sokaluk was convicted of the crime of arson, and is currently serving a sentence of seventeen years and nine months for lighting the fire that burned around the area of Churchill in Gippsland and killed eleven people. What person could possibly want to cause such shocking damage to the environment and its inhabitants? 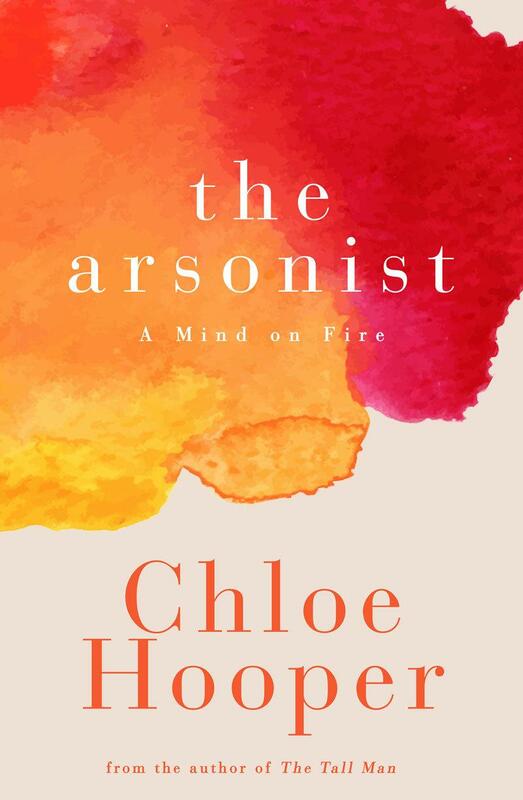 Enter Chloe Hooper, who excavates ‘the mind on fire’, the mind of this arsonist. I don’t mind admitting that I wasn’t sure I’d be able to read this book; I have a not unusual fear of bushfires that comes from living through Ash Wednesday as a child growing up in the Dandenongs. Even now, every single time I hear a siren, I am back in that time and feel anxious. But I could not put this amazing book down. Hooper begins with a beautifully poetic, mournful account of the ruin wreaked by the fire – she writes the landscape so very well – before focusing on the police and the investigation that eventually results in the arrest of Sokaluk. We learn about a vulnerable man and his outsider life growing up with what is found to be undiagnosed autism. We follow the work of the team from Legal Aid tasked with defending him. We enter the courtroom; we hear the evidence. All the while, though we know the facts and the outcome of the case, it is still hard to grasp what exactly took place on that day. Things burned and people died, that much is certain. But the arsonist – as criminal archetype and as unique individual – remains somehow unknowable, begging the question, what could ‘justice’ in and for this situation possibly look like? It’s a tough book to read in parts. I think I cried solidly for thirty pages near the beginning as Hooper describes some of the heartbreaking events with stunning, lyrical clarity. But the care she has taken with this story and its people is also care for the reader, who she accompanies on this journey like a close friend. The Arsonist is not just our book of the month; it’s one of the books of the year. Absolutely not to be missed.